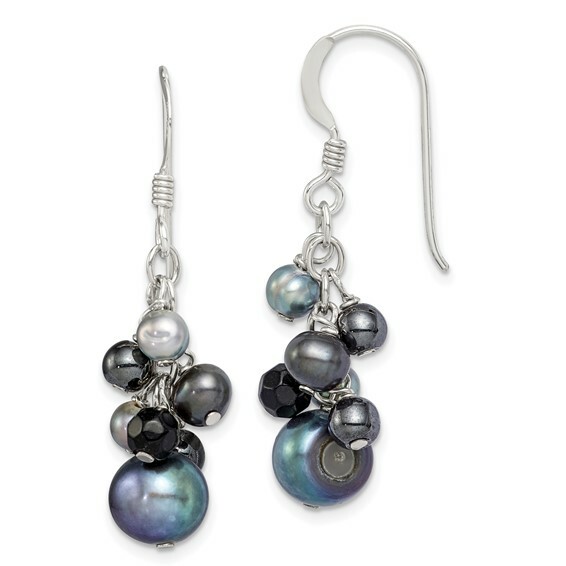 These gray freshwater cultured pearls & onyx dangle earrings are made of polished sterling silver. Entire earring measures 1 7/16 inches tall. Weight: 3.55 grams.